It's hard to believe that one man could be responsible for so many important moments in our U.S. history. 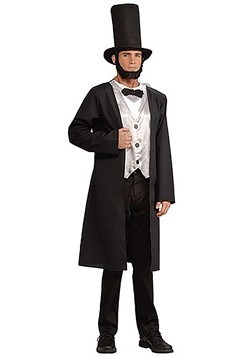 Abraham Lincoln is regarded as one of our best leaders because he abolished slavery, led us through the Civil War, and modernized the economy. Overall, he was a pretty cool guy. 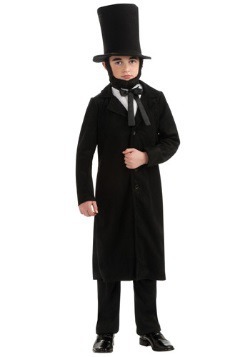 Did you know that when Abe wore his tall black hat, he measured in at around 7 ft. tall? He also kept a lot of important things stored in that hat. It is also documented that Honest Abe was an animal lover who owned a pet cat, dog, horse, and even a turkey. However, it is not proven that Lincoln also had a secretive identity as a vampire hunter, although that would be pretty awesome. President by day, vampire slayer by night! It was Abraham Lincoln who said, 'whatever you are, be a good one.' 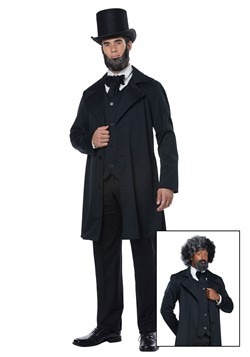 Why not take Abe's advice and be a realistic version of the sixteenth president of the U.S. We sell Abraham Lincoln Costumes for adults and kids so everyone can have fun being Abe. 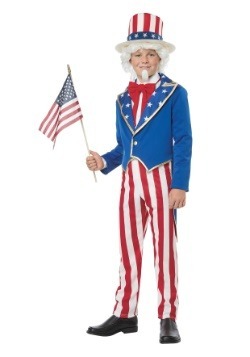 These costumes are perfect for plays and other school performances. 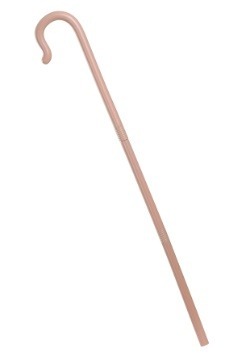 We sell accessories like the top hat and the infamous beard. 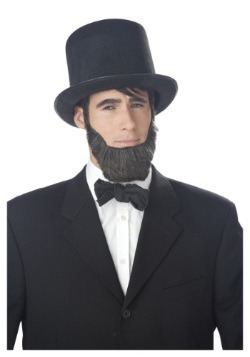 Recite the Gettysburg Address while you are dressed in full costume!